October is a great month to focus on modern manufacturing. Across North America, manufacturers like Domtar are celebrating Manufacturing Day on October 6 or throughout the month by inviting students for site visits or visiting area schools and clubs to help them learn more about manufacturing careers. Many prospective employees wonder what their day in a modern manufacturing company might look like when considering a career at Domtar. While every role and every colleague at Domtar are unique, it can be helpful to take a look inside the business through the lens of a specific job. Brandon Sneed is a mechanical engineer at Domtar’s Kingsport Mill in Tennessee. A graduate of the University of Tennessee in Knoxville, Sneed was hired by Domtar as an associate engineer at the Kingsport Mill in 2013. After two promotions, he now works as a senior engineer at the mill. 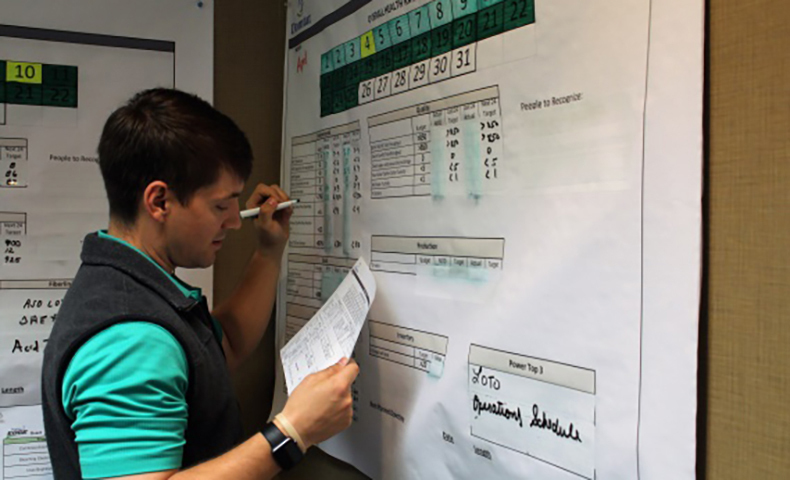 A typical day for a modern manufacturing engineer at Domtar requires teamwork, effective communication, strong technical and project management skills, and the ability to adapt to frequently changing tasks and situations. For Sneed, it also starts and ends with promoting health and wellness at the mill. “When the fitness center is in top condition, I start on my daily workout routine. It is important for me to be consistent in my message of health and wellness to the mill, so I make sure to commit myself to working out on a daily basis. I work out to maintain a healthy lifestyle, but also to set a good example. Sneed appreciates the culture at Domtar, where excellence is valued and there is opportunity for advancement. Sneed also likes the fact that his modern manufacturing career is challenging in all the right ways.